Sheet music for Clarinet Quintet, quintet for clarinet and strings by composer Patricio da Silva. While you watch the youtube video the sheet music for Clarinet Quintet complete with score and parts is a click away download. Portuguese American composer Patricio da Silva's classical clarinet music Clarinet Quintet Youtube classical music featuring Carmen Izzo, clarinetist, accompanied by strings of the What's Next? Ensemble from Los Angeles, California. "Patricio da Silvas Clarinet Quintet was quite another matter: here is a genuine creative voice, his work being full of interest and beguiling invention"
"The frequent pattern-like rhythmic interests were fascinating. The writing for clarinet was excellent, and the composer was present to acknowledge the prolonged applause." "Only Patricio da Silva's piece demonstrated the stylistic consistency of a composer who has something to say, certain of his own direction." Sheet music for Clarinet Quintet by Patricio da Silva available through for download at SCRIBD. 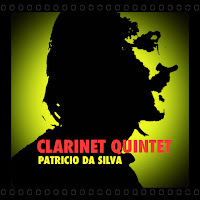 Clarinet Video from Clarinet Quintet and other clarinet classical music by Patricio da Silva is available on Youtube. The audio for clarinet classical music for #clarinetquintet by Patricio da Silva is available on youtube, Itunes, Amazon, Spotify and others. 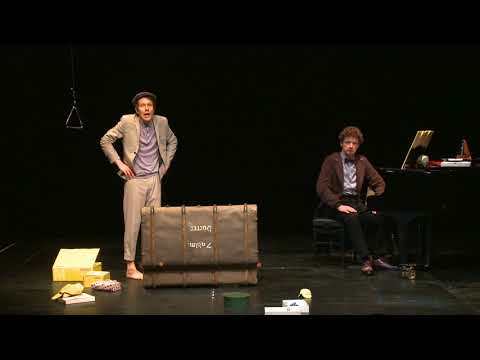 Julia Oesch/Jens Barnieck premiere Operetta "It's Never Too Late To Lie"
© The Sound Stew 2010. Powered by Blogger.